This simple Smoky Chicken Thighs has just a few ingredients, but packed full of flavor. 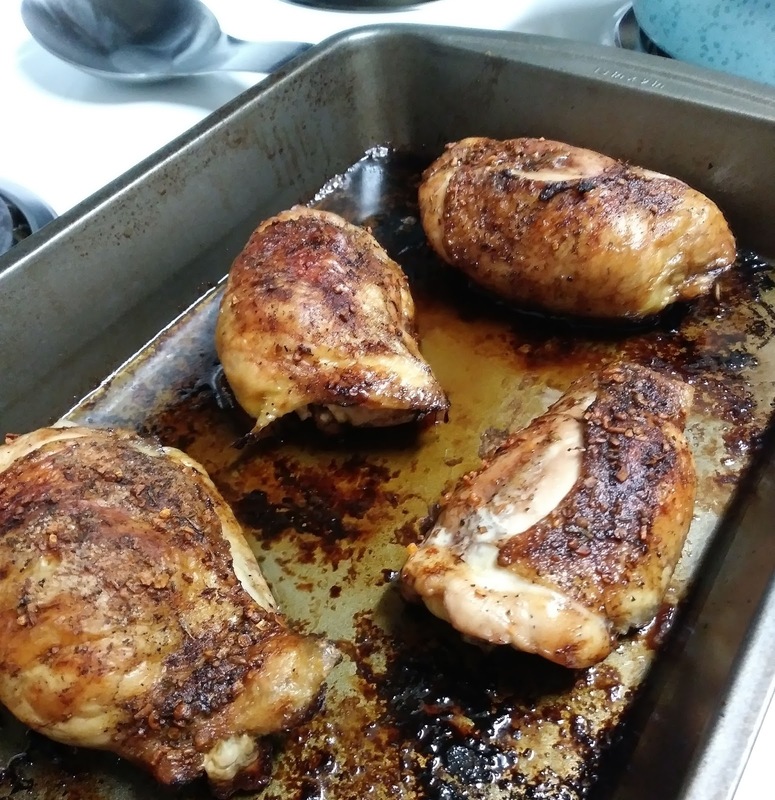 Place chicken thighs in baking dish. Drizzle liquid smoke, salt, pepper and roasted garlic herb. Bake 45 to 50 minutes, until no longer pink near bone. You know, I've never used liquid smoke, but you've inspired me to do so darlin! Thank you! I just bought some liquid smoke and couldnt wait to find something to make! I found it! This sounds so good, perfect for my taste, Christine! Thank you for sharing!! My hubby loves smoke flavor!! trying this!